School Library Journal School Library Journal | Can an Aardvark Bark? 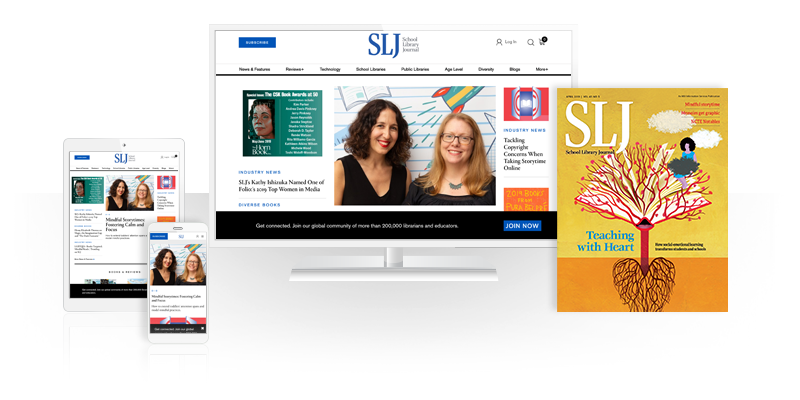 School Library Journal | Can an Aardvark Bark? Bark, grunt, squeal, roar…. A chorus of animal vocalizations emanates from science writer Melissa Stewart’s latest picture book, a concept book focusing on the sounds that animals use to communicate. Employing a question and answer format, Stewart uses internal rhyme to pique the interest of young readers: “Can an aardvark bark? / No, but it can grunt. / Lots of other animals grunt, too.” While the primary text is playful, a secondary text is informative, offering insight into the purposes of various animals’ vocalizations. Offering examples of sounds from animals both familiar and more exotic, Stewart facilitates exploration of similarities and differences across species. This intriguing title is illustrated by master collage artist Steve Jenkins. Featured animals are set against a white backdrop, fully showcasing the realism Jenkins is able to achieve with torn paper. In a final double page spread, Jenkins recapitulates the animals featured in the main text with cameo portraits, and Stewart invites readers to join the cacophony, with the irresistible phrase, “can you?” Back matter includes selected sources and suggestions for further reading. An excellent resource for units of study on animals and/or communication, the title is also an excellent resource for language arts instruction, as a mentor text for nonfiction text structures and language play. An Animal Chorus. Young readers will readily answer the author’s final question, demonstrating their ability to bark, growl, laugh, whine, etc. Pair a reading of Can an Aardvark Bark? with the singing of Bill Staines’s song A Place in the Choir (also available in picture book format: All God’s Critters). Invite students to create animal masks an offer them the opportunity create a dramatic performance incorporating animal vocalizations. Internal Rhyme. Discuss the stylistic technique of of internal rhyme. In a video segment of the timeline on her website, Melissa Stewart describes how she played with rhymes to create the primary text (aardvark bark, seal squeal, boar roar, porcupine whine). Ask your students to engage in this same activity, listing names and listing sounds to see if they can make rhyming pairs. Then share the fictional title Truck Duck by Michael Rex, which humorously matches animals and modes of transportation (for example, “Cab Crab” and “Sub Cub”). To explore internal rhyme in which the rhyming pairs are separated in sentences, watch Raffi sing “Down by the Bay.” Invite your students to compose and illustrate sentences about animals that demonstrate internal rhyme – these sentences may be nonfiction or fiction, depending on your students’ preferences. Studying Animal Sounds: First Hand Observation. Head outside and listen for animal sounds in the environment around your school. Provide materials for notemaking so that students can record what they hear, what they see, and any theories that they have about the animal sounds that they hear. You might also use webcams available online to observe animal in zoos and in the wild. Ask students to consider how scientists might ascribe meaning to the sounds that animals make. How does a scientist develop and test theories about animal behavior? Explore some of the sources used by Melissa Stewart in Can an Aardvark Bark? How did she learn about the purposes of animal vocalizations? Animal Communication Text Set. Extend the activity above with text set resources. Read Can an Aardvark Bark? to launch a study of animal communication. Read additional texts, such as the two suggested by Melissa Stewart: Bird Talk: What Birds are Saying and Why by Lita Judge and Talk, Talk, Squawk! A Human’s Guide to Animal Communication by Nicola Davies. (For a preschool audience, consider Mung Mung by Linda Sue Park and Does a Cow Say Boo? By Judy Hindley). Next explore multimedia resources (such as those linked below in Further Explorations) to learn more about how scientists study animal communication. Consider making an anchor chart to record your learning – what is the animal, what is the communication (action, sound, process), what do scientists think it means, what is the evidence to support this idea. Following a broad exploration, students (in groups or individually) could choose an animal to research more deeply, creating a multimedia presentation of their findings. Animal Text Set. If you’d like to approach the study of animals more generally, our Classroom Bookshelf blog contains many nonfiction picture books about animals for your students to explore. See, for example, our entries on Martin Brown’s Lesser Spotted Animals, Candace Fleming’s Giant Squid, Steve Jenkins’s The Beetle Book, The Animal Book, Animals Upside Down, and Eye to Eye, Melissa Stewart’s Feathers, Not Just for Flying, Jeannie Brett’s Wild About Bears Elin Kelsey’s Wild Ideas and Loree Griffin Burns’s Handle with Care: An Unusual Butterfly Journey. Animal Sound Murals. In her video timeline, Stewart describes making lists of animals and of sounds. Ask your students to do this too, naming animals they know and the sounds that they make. Group the animals by common sounds: for example, “Who can roar?” and using Steve Jenkins’s illustrations for inspiration, work in cooperative groups to design and create large collage murals that can be displayed in your classroom, the school hallways, or at a local community site. Consider collaborating with an art teacher to closely study Jenkins’s collage techniques and offer students an array of paper in different colors and textures with which to create their animal images. Be sure to have lots of Steve Jenkins’s books available for students to use as mentor texts for their illustrations. The Backstory: Melissa’s Stewart’s Science Clubhouse. On her wonderful website, author Melissa Stewart shares her process for writing Can an Aardvark Bark? with a video timeline. She describes how she was inspired to write the book, initial drafts, her experimentations with different text structures, and the multiple rejections and revisions that lead up the finished book. Watch the video clips with your students and then ask students to discuss what they have learned about the writing process – record their responses on chart paper. Next, ask students what they wonder? What would they ask Melissa Stewart if they had a chance to interview her? Finally, print out the drafts that Stewart shares in her timeline. Provide small groups of students with copies of the almost finished manuscript and an earlier version. Invite the students to mark up the drafts, noting which information appears in both, and how the manuscripts differ. In a whole group discussion that follows, guide students to consider how authors make choices about content, language, style, structure, and organization. Question and Answer: A Nonfiction Text Structure. After experimenting with different styles, author Melissa Stewart decides to employ a ‘question and answer’ text structure in Can an Aardvark Bark? Work with your school or public librarian to gather a collection of nonfiction texts that employ this structure, such as Steve Jenkins’s What Do You Do with a Tail Like This?, Roxie Munroe’s Hatch!, and Melvin Berger’s How do Frogs Swallow with Their Eyes? Following this examination of the text structure, have kids write their own question and answer books. With younger students you might structure this as a class composed book, co-writing and illustrating, or inviting each students to contribute a page. Duet Model Reading: Can an Aardvark Bark? And Feathers, Not Just for Flying. Engage students in a comparison of these two titles by Melissa Stewart. Both are concept books and in both, Stewart employs play with language to enhance the scientific content she hopes to convey. As students compare these two texts, invite them to compare content, language, style, organization, and illustration. Next explore the web resources that Stewart has provided for each of these titles on her website to deepen students’ understanding of her processes of research and composition. Finally, invite students to use the books as mentor texts for their own nonfiction writing that incorporates primary and secondary texts. Davies, N. (2011). Talk, talk, squawk! A human’s guide to animal communication. Ill. by N. Layton. Cambridge, MA: Candlewick Press. Hindley, J. (2002). Does a cow say boo? Ill. by B. Granstrom. Somerville, MA: Candlewick Press. Jenkins, S & Page, R. (2003). What do you do with a tail like this? Boston: Houghton Mifflin. Judge, L. (2012). Bird talk: What birds are saying and why. New York: Roaring Brook Press. Kalman, B. (2015). How and why do animals communicate? Crabtree Publishing. Munroe, R. (2011). Hatch!. Marshall Cavendish. Park, L.S. (2004). Mung-mung: A foldout book of animal sounds. Ill. by D. Bigda. Cambridge, MA: Charlesbridge. Stewart, M. (2015). Feathers, not just for flying. Ill. by S.Brannen. Cambridge, MA: Charlesbridge. Raffi. (1987). Down by the bay. Ill. by N.B.Wescott. Crown Publishers. Rex, M. (2004). Truck duck. New York: Putnam’s. Staines, B. (2009). All God’s critters. Ill. by K. Nelson. New York: Simon & Schuster.